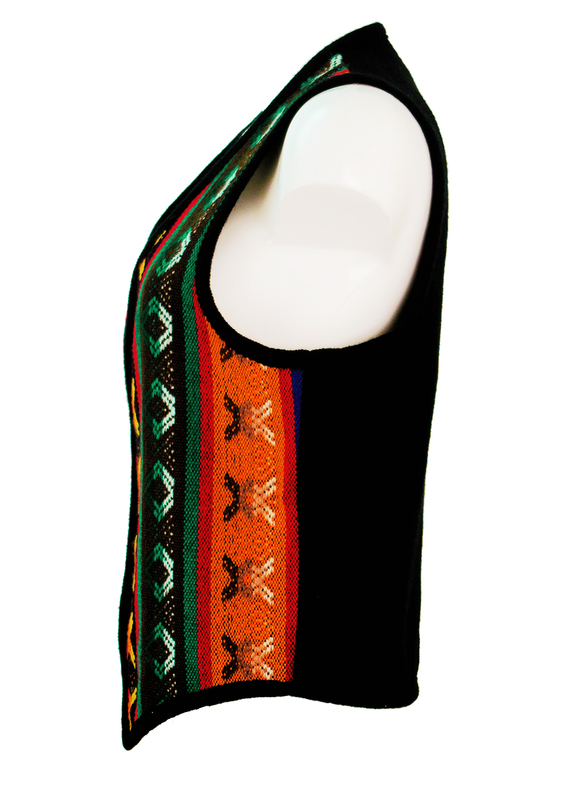 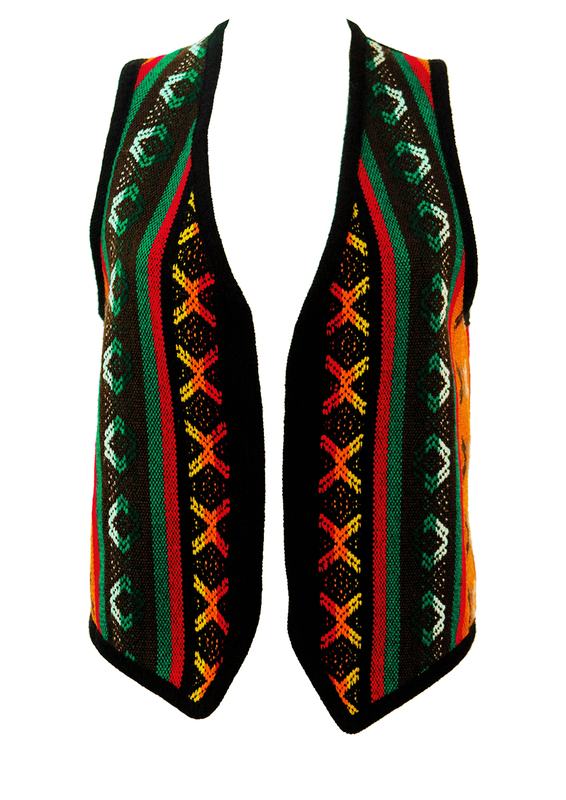 Black ethnic style waistcoat with a colourful Aztec type striped pattern in bright colourways of yellow, red, orange, and green that pop dramatically out of the black! 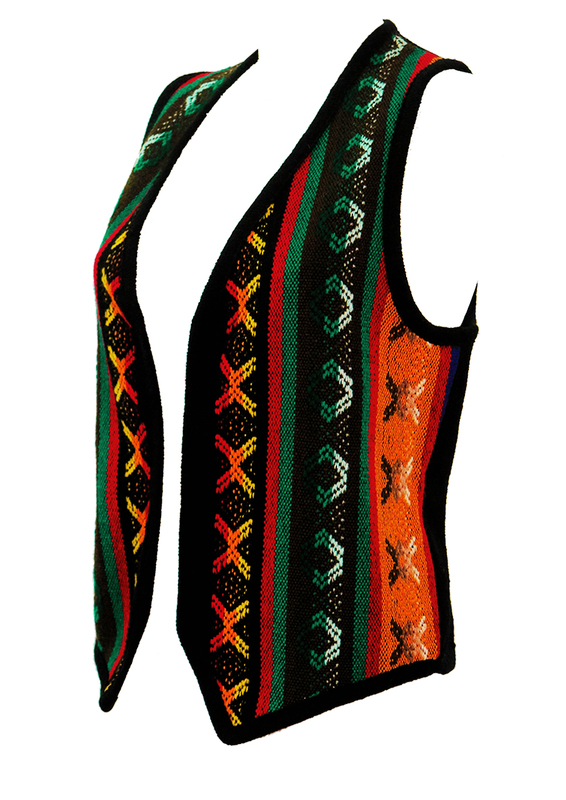 Although there is no fabric label the waistcoat has a mid weight woven wool or part wool feel to it and is in great condition. 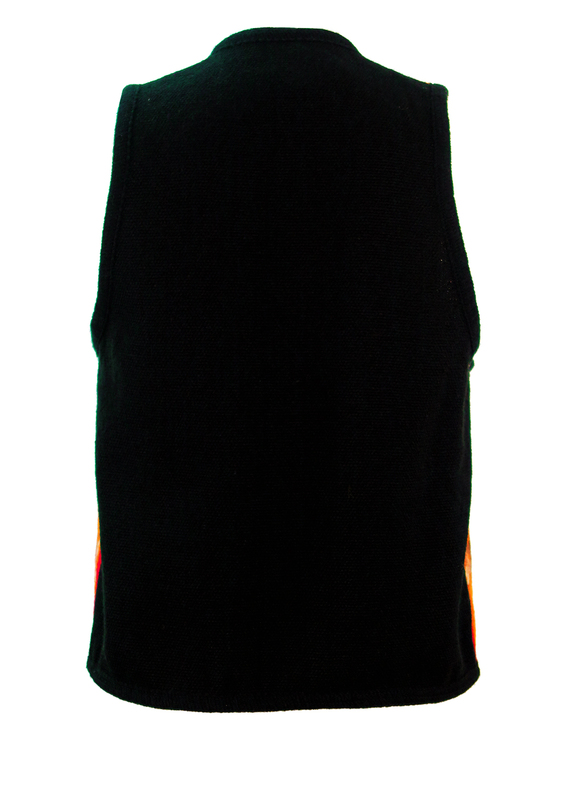 The sizing label is a 44 which we have equated to approximately a size M. Please refer to our measurements for further sizing guidance. 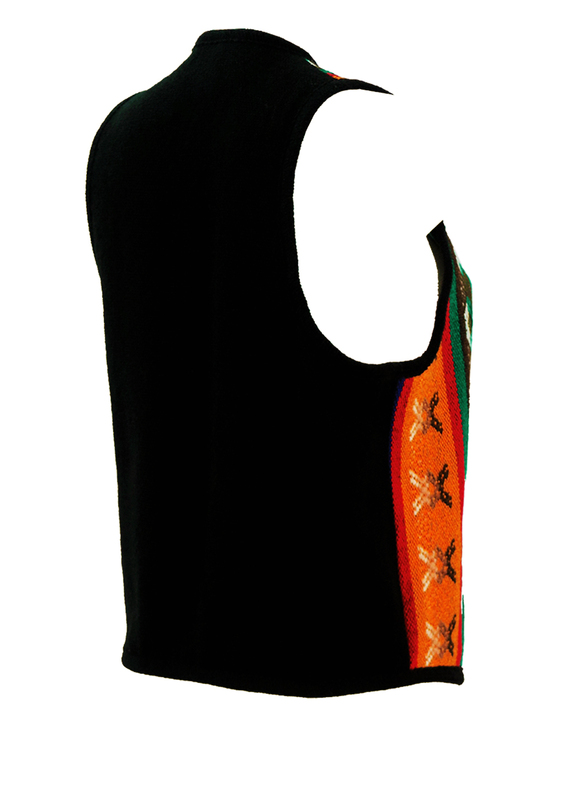 The chest measurement has been taken with the front two panels of the waistcoat placed directly next to each other rather than leaving a gap between the left and right side as shown in our visuals.